Like a shark, I’ve got to keep moving forward or else I’ll die. Or so it feels. 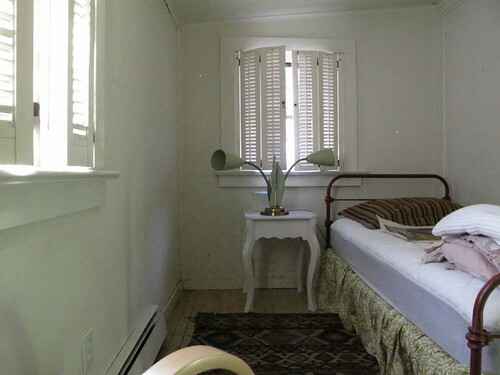 So on Tuesday, a contractor is coming to fix up the 2nd bedroom, or guest room, in my East Hampton cottage. He’ll install a new window I happen to have in the basement, above (custom-made for another house and never used), along the longer wall, which I expect will make the 7-foot-wide room feel much more pleasant. He’ll remove cruddy molding, a damaged ceiling from a long-ago roof leak, and replace the old, wallpapered-over sheetrock and baseboard. It will also make the house look a whole lot more interesting from the outside. I’m kind of dreading the whole operation, to tell ya the truth. It’ll last most of the week. It’s been very cold here, and the exterior wall in that room will be open for at least a few hours. And then there’s the dust. But hopefully the satisfaction of accomplishment will trump the inconvenience. And now the roofer is saying he may also come this week. Chaos! 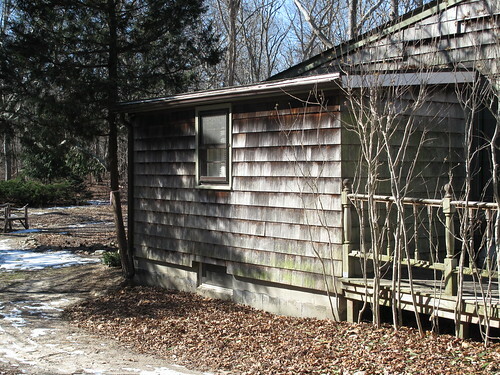 This entry was posted in COTTAGE LIVING, HAMPTONS, LANDSCAPING, LONG ISLAND, OLD-HOUSE MAKEOVERS and tagged astilbes, chelone, cottage, daffodils, deck, East Hampton, ferns, guest room, parking court, renovation, roof. Bookmark the permalink. This room is tiny, but it is going to be adorable. The added windows will open the room beautifully. 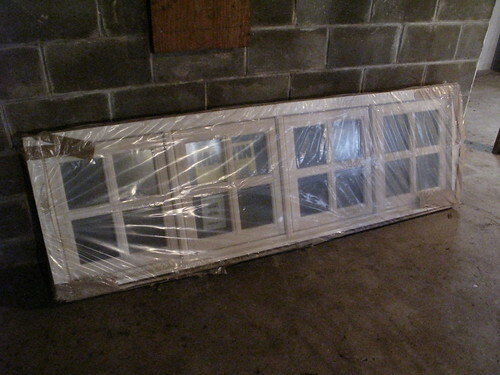 Please tell me you are saving the shutters from the original windows…they are gorgeous! That sounds like a wonderful plan. Nice window. Thanks, Erica & Kathleen, for the encouragement! Looking forward to spending some time there! !